EZ Test mCPP is intended for detection of eta-ChloroPhenylPiperazine (mCPP) and other Phenylpiperazines in pills, capsules or powders. 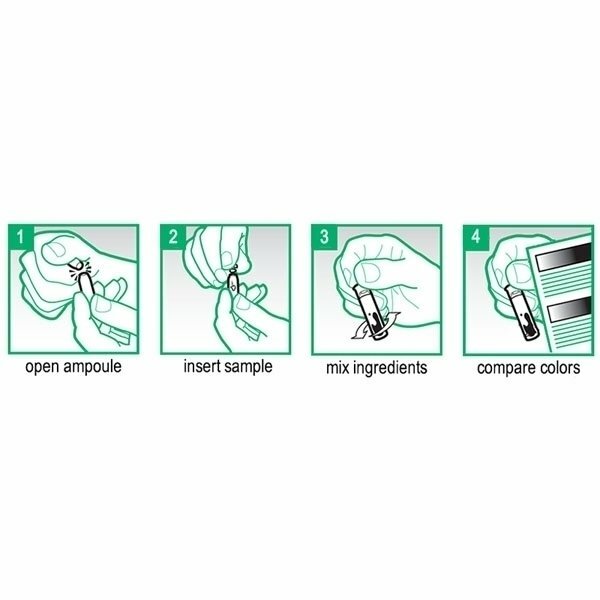 Use a sample of your stuff with this test and you'll see a result within just a few minutes. Very easy to use and highly reliable. 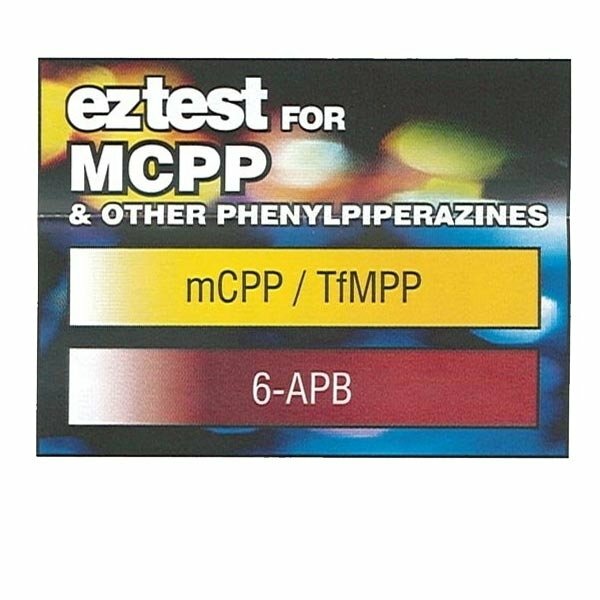 EZ Test mCPP is a quick test to determine wether there is meta-ChloroPhenylPiperazine (mCPP) in a substance. class. meta-Chlorophenylpiperazine, aka mCPP, that, because of its psychoactive effects, is often used as an ingredient of party drugs. This is often done to replace the MDMA in XTC pills. mCPP has similar effect as MDMA and increases the serotonin level in the brain. (Often caused) Undesired side effects are, among others: migraine-like headache, nausea, dizziness, dread, and panic attacks. To stay clear of mCPP, simply use the EZ Test mCPP. The few minutes it takes might save you from hours of sickness (or worse). Place a dinky part of your substance in the ampulla with the reagent and shake gently. To evaluate the result, please read the included instruction sheet and information material. 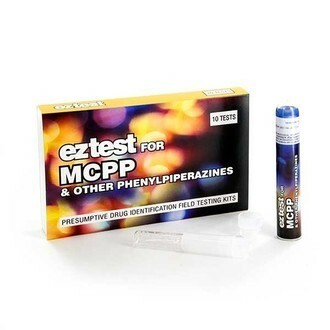 EZ Test mCPP is available as single test phial or package of 10 tests.